The other day I met up with Kaiserians (friends from Dragon Nest) in Sunway Pyramid. There was a gaming competition going on, so we hang out there till late night, hoping to see the female team in HON to start the game but it was delayed to the next day. 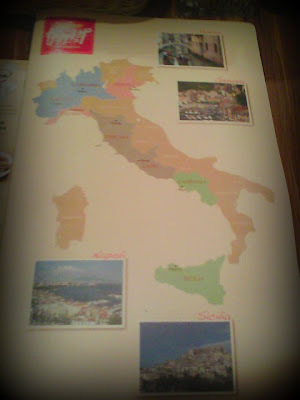 So there is this awesome guy, suggested us to have dinner at Capricciosa and so we went. 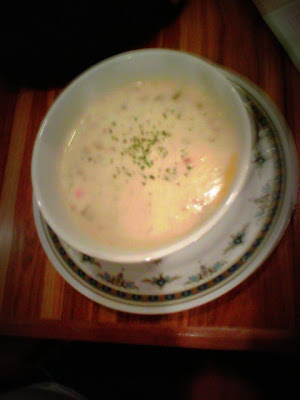 I thought it was a Japanese restaurant because a JApanese chef was shown in the first page of the menu. 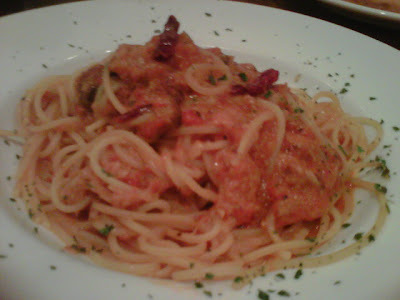 Thr truth is, Capricciosa is an Italin restaurant initiated by a Japanese chef. The waiters there were friendly, especially the one that took our orders. Indeed, their design for the menu is quite unique. 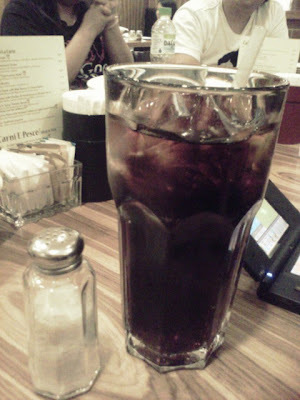 HUGE coke. The glass is larger than the on in Pizza Hut. You could refill the soft drinks. My friend said this is good. I'm not quite sure how good was it but, from the look itself, it was awesome. This is my favourite. 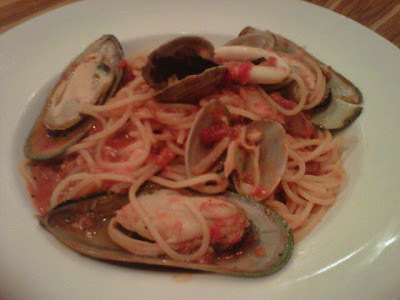 Lots of seafood were there~~~ And again, this is not bad, as the tomato sauce wasn't that sour. 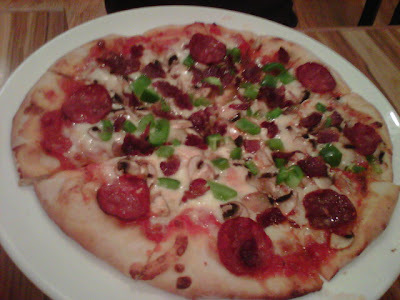 Well, I don't really like tomato sauce but this is not bad. 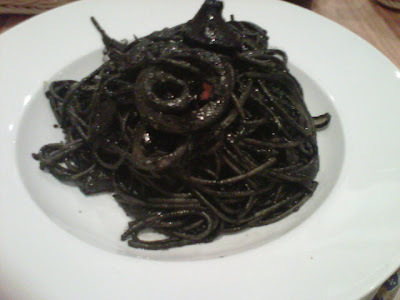 Spaghetti with Calamari and Onions in Squid Ink Sauce. Yeah, you read it correctly, it is a spaghetti. Red and yellow spaghetti are too mainstream, so I chose the black one. It wasn't that bad but my friends were not used to it so, I guess I'm the odd one. The price was reasonable isn't it? I couldn't agree more on the price because the black spaghetti that I had was awesome! Although there were only 5 calamari, the portion was huge, enought for two person dining, I guess. Ambition: Eat ALL the food!